Dr. Paul Craig Roberts was Assistant Secretary of the Treasury for Economic Policy and associate editor of the Wall Street Journal. He was columnist for Business Week, Scripps Howard News Service, and Creators Syndicate. He has had many university appointments. His internet columns have attracted a worldwide following. Roberts' latest books are The Failure of Laissez Faire Capitalism and Economic Dissolution of the West and How America Was Lost.Dr. 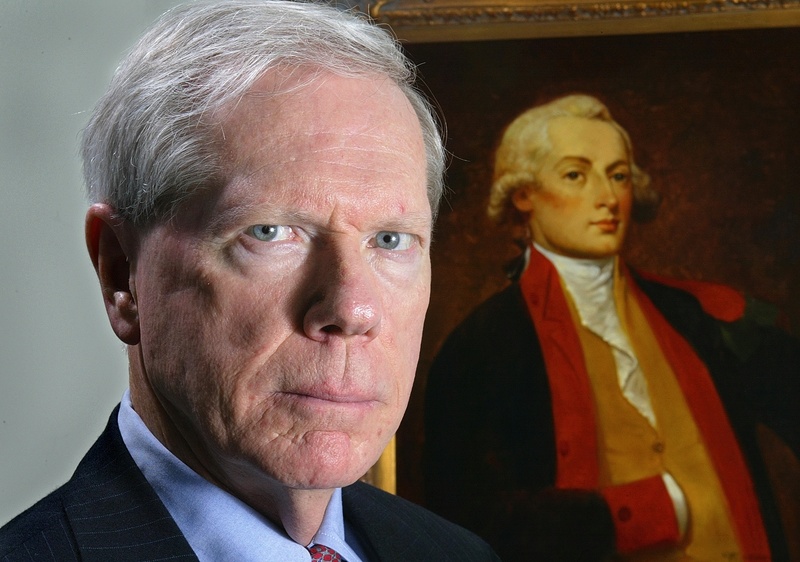 Paul Craig Roberts was Assistant Secretary of the Treasury for Economic Policy and associate editor of the Wall Street Journal. He was columnist for Business Week, Scripps Howard News Service, and Creators Syndicate. He has had many university appointments. His internet columns have attracted a worldwide following. Roberts' latest books are The Failure of Laissez Faire Capitalism and Economic Dissolution of the West and How America Was Lost. 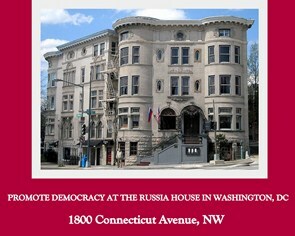 Gilbert Doctorow, a knowledgeable and cautious observer of Russia, who, unlike the US National Security Council, Western think thanks and universities, actually understands Russia, appears to have joined The Saker and me in our pessimistic evaluation of the likely outcome of Washington’s insane treatment of Russia, loading false accusation after false accusation on the Russian government. What follows here will surely surprise my loyal readers, who expect detailed argumentation and are not put off by 3,000 or even 5,000 words to get to a conclusion. For the same reason, detractors who complain of my long-winded style may take heart. However that may be, I do not offer a bed-time story today but a shock to the system. The overriding issue of war or peace, survival of mankind or its utter destruction, is now being decided in Washington and NYC without so much as a ‘by your leave’ for the rest of us. Will Chairman of the Joint Chiefs of Staff General Dunford prevail in warning Trump against any action that will bring a kinetic response from the world’s other nuclear super power. Or will ‘Mad Dog’ Secretary of Defense Matthis win out in pressing Donald Trump to test the Russians’ bluff on their red lines in Syria? Will the US launch missiles against Damascus or against Iran, as I suggested yesterday as an alternative scenario? Or will it support Poroshenko in launching a massive attack on Donetsk, as the Russians appear to expect judging by their just putting their entire military on war alert? 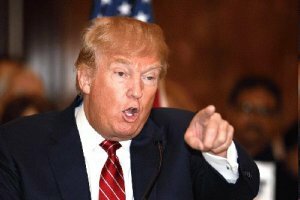 Donald Trump has announced very clearly that he will be authorizing some kind of retribution to the CIA-faked chemical attack in Douma, Eastern Goutha in the coming 24 to 48 hours. So, here we are at Judgment Day, and there surely will not be one soul out on Pennsylvania Avenue to raise an anti-war placard. The tattered remains of the American peace movement is rotten to the core. Even Daniel Ellsberg has been suckered into joining the buffoon Noam Chomsky in a cake-walk demo in NYC under the sponsorship of the American Friends Service Committee, once the paragon of pacificism and today just another social action group promoting racial equality. Uncle Joe Gerson sent out invitations to participate in that theater of the absurd last night. The anti-war movement was a Leftist movement, and we all know where the Left is today, along with the Progressives. In denial and Russia-bashing. He detailed the rebel caches of chemical weapons and equipment for their manufacture that Russian troops have found in recently liberated territory of Eastern Ghouta and elsewhere. He spoke about the past provocations of faked chemical attacks including the one used to justify the US cruise missile launches on the Syrian air base at Sheirat a year ago. He linked the US training and support for terrorists in fabrication of chemical arms to the faked nerve agent attack on the Skripals in the UK, which he described as a vaudeville act. He heaped scorn on Haley for her denying Russia the status of "friend,” saying that the US has no friends, only sycophants, whereas Russia has genuine friends, and seeks nothing more in relations with the United States than civilized discourse. In response to this unprecedented denunciation of the USA and its policies of global hegemony, we heard from Nikki Haley the familiar story of how the UN Security Council could now either adopt a US resolution condemning the Assad regime, in effect, or admit its total irrelevance while the US continued on its own unilateral path to resolving the Syrian question. So, ladies and gents, open the champagne. Last days of Pompey? I was just there last week and I saw the future, not the past. When Doctorow becomes pessimistic I really get worried as he is a level-headed person. It is difficult not be be pessimistic when we learn that the Washington Insane Asylum has sent a Carrier Strike Group accompanied by seven missile ships to join the one missile ship already offshore the Russian base in Syria. Whether any of these sittling ducks survive or are permitted to launch a single missile or the carrier to launch a single fighter is entirely up to the Russians. All Russia has to do to insure that the US has no choice but to accept instant defeat is to put Russian nuclear forces on red alert. Any resort by the idiots in Washington of a nuclear nature would mean the end of the United States and all of Western Europe along with the UK. It would mean the total end of the West for all time, an event the rest of the world would consider to be a good thing. Hopefully the US military, the last and constantly besieged source of honor in the US, understands this and would not comply with a suicidal order from an insane war cabinet. 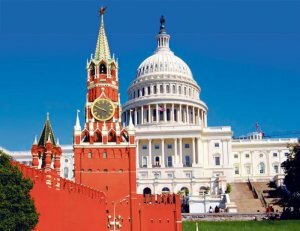 In my opinion the Russians will not go so far and will deny themselves a decisive victory, because they do not comprehend the total evil that is concentrated in Washington and Israel. 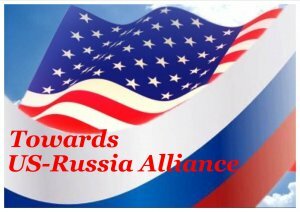 There are enough naive Atlanticist Integrationists left in the Russian government to argue that Russia must give Washington and Europe one more chance to come to their senses. One more chance is what Russia and the world cannot afford. There is scant possibility that Washington and Israel will ever come to any sense other than hegemony. If Washington had any sense, Washington would not be sending warships to attack Syria, or Iran in order to evade the Russian prohibition on attacking Syria. Russia cannot allow Iran to be destabilized any more than it can allow that fate for Syria. 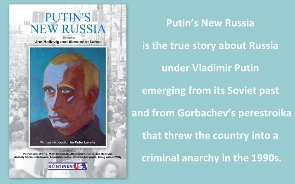 It was the Russian government’s decision not to include Iran in the prohibition, and this could prove to be another Russian mistake in its dealings with Washington. Washington thinks that whereas the lone USS Donald Cook missile destroyer standing offshore of Syria could be sunk by Russia without too much of an incident resulting—Israel destroyed the USS Liberty with massive US Navy casualties without any incident resulting— for Russia to sink 9 US ships including an aircraft carrier, is more than the Russians have stomach for. It will be about 10 days before the US ships, sitting ducks all, reach the point where they can be easily disposed of. This gives the US Joint Chiefs of Staff 10 days to overrule Trump’s insane war cabinet and put the US military’s halt to Armageddon. It would help their decision to overrule Trump’s insane war cabinet if Russia goes ahead and sinks the USS Donald Cook and shoots down every Israeli aircraft in flight even those overflying Israel. 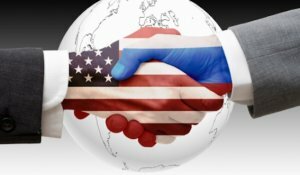 What will sober up Washington is Russia coming off the defensive and taking the initiative instead of being always reactive to Washington’s initiative. Pray that the Christian God, not the blood-thirsty Jewish one, prevails over the Joint Chiefs’ deliberations and struggle with Trump’s insane war cabinet. In my opinion, with Israel’s servant, John Bolton, as Trump’s trusted national security adviser, war with Russia is inevitable. Taking Doctorow’s advice, I am opening the chapagne, by which Doctorow does not mean to celebrate but to enjoy the last moments of life. It remains to be seen whether the conflict set in motion by Israel and its demented puppet in Washington can be avoided. As Washington is lost in its arrogance, only decisive and firm Russian slaps across Washington’s idiot face can save life on earth. Because of the deluded and stupid Russian Atlanticist Integrationists, Russia might not be up to the task.